This is one of the weirdest products I've ever reviewed. If you're not familiar with Boca veggie burgers, the image on the box is somewhat deceptive. The package contains 4 veggie, egg and soy protein burgers. 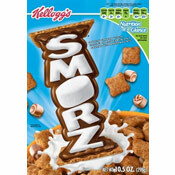 To make the item you see on the box, you'd need to prepare the product, fry an egg and toast an English muffin. 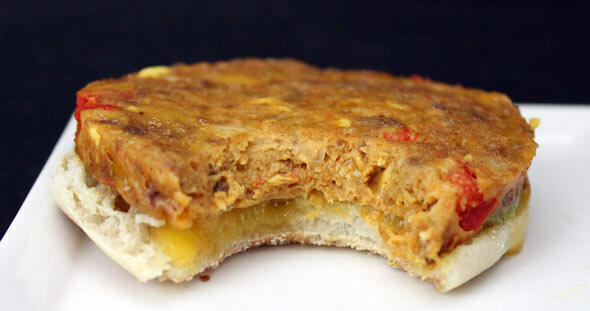 For my product test, I served the patties on toasted English muffins with melted Cheddar cheese. To prepare the patties, you microwave them for about 2 minutes. Your initial impression might be that they smell vaguely appetizing. You might even enjoy the first bite as the taste of bell pepper is immediately noticeable. It all goes downhill from there. As one person in the office said, "I might like it better if I never looked at it." She followed that up with, "What is this weird white piece... potato?" Because it looks kind of like a sausage patty, you might taste a phantom flavor of sausage. As you eat more, you realize there is no sausage flavor and you start to wonder, "What the hell am I eating?" There's absolutely zero essence of egg. 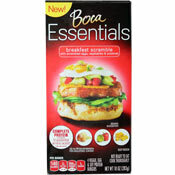 Overall, Boca Essentials Breakfast Scramble Patties taste like general food. It feels like something astronauts in the 60's might have eaten or something we might have to eat in a future where food has become scarce and overly engineered. In our tests, no one who tried this wanted to finish their serving. This product is an overwhelming dud. But props on the handsome packaging. 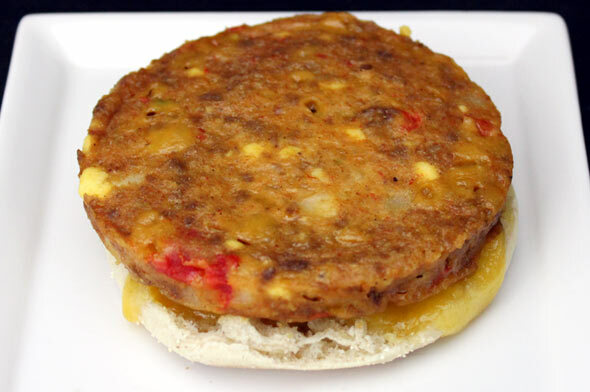 Nutritional Considerations: Each patty has 140 calories, 7 grams fat (2 grams saturated and 0 grams trans), 50mg cholesterol, 300mg sodium, 9 grams total carbs, 3 grams dietary fiber, 1 gram sugar and 9 grams protein. What do you think of Breakfast Scramble Veggie Patties? This "burger" of miscellaneous, unidentifiable, bland weirdness is not getting another shot with me. The packaging was a complete false, which just had me mostly more confused than upset until I ate the thing. I am not the pickiest person and would not mind doctoring this up, but I really don't see the point. It's just not good. It's ok. I enjoyed it but don't think I'd buy it again.